What is Santa Maria Aquamarine? A beautiful member of the beryl family, aquamarine is a slightly greenish-blue variety. The name “aquamarine” is derived from two Latin words: aqua, meaning “water,” and marina, meaning “of the sea. The eye clean gemstone is known for its clarity and transparency. Santa Maria aquamarine is one of the finest varieties of beryl, featuring a deeply saturated blue color. It is widely believed to hold the powers of the sea and considered as the “Stone of the Sea,”. Santa Maria aquamarine is breathtaking in its luxurious beauty. The value of this gem is determined by color, clarity, cut, and carat weight. Richer and darker toned aquamarines are of higher value. A piece that is radiant sky blue will be more valuable than a faded hue, even if they both have the same quality of cut, clarity, and carat weight. Santa Maria aquamarine represents a particular shade of blue in a deeply saturated hue. This color was originally discovered at the Santa Maria de Itabira mine, in Minas Gerais, Brazil. In the gem trade, ‘Santa Maria’ can also describe any aquamarine stone displaying this color. Possessing a unique property of dichroism, Santa Maria might seem colorless on one end and heavily saturated at the other. Known for their transparency and clarity, the material is “eye clean,” meaning that the unaided eye can detect no inclusions. The transparent faceted crystals look majestic as they reflect light as it passes through. Santa Maria aquamarine is a highly reflective gem, which must be cut with sharp angles and symmetric patterns in order to maintain its light and clarity. A poorly cut aquamarine, even with exceptional clarity, can lose its luster and fall flat in appeal. Santa Maria aquamarine tends to form in smaller sizes, so it is very rare to find a finished gem of over a half carat. Gemstones are frequently treated to improve their beauty or durability. Heat treatment is standard with this stone. Rough is heated to temperatures of up to 850 degrees Fahrenheit to improve the gem’s blue color and remove undesirable green elements. 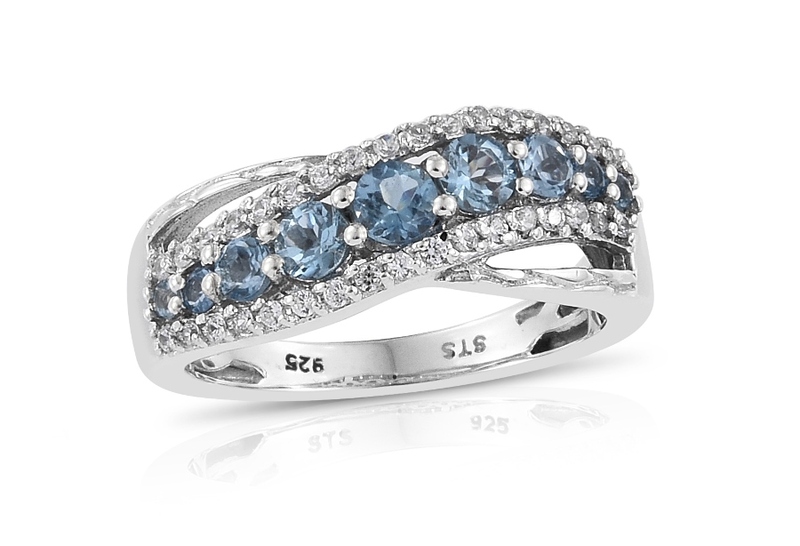 Ranking 7.5 to 8 on Mohs scale of hardness, aquamarine is suitably resistant to scratching or abrasion. The best way to care for your stone is through standard gem and jewelry care. Clean with a soft bristled brush, lukewarm soapy water, and dry with a soft cloth. Avoid ultrasonic or steam cleaners as these devices can damage the stone and can lead to external abrasions. Avoid heat or harsh chemicals, which can also damage the appearance of the gem. Who Can Wear Santa Maria Aquamarine? For anyone who is an admirer of soothing color tones and fascinating gems, Santa Maria aquamarine is a perfect pick. 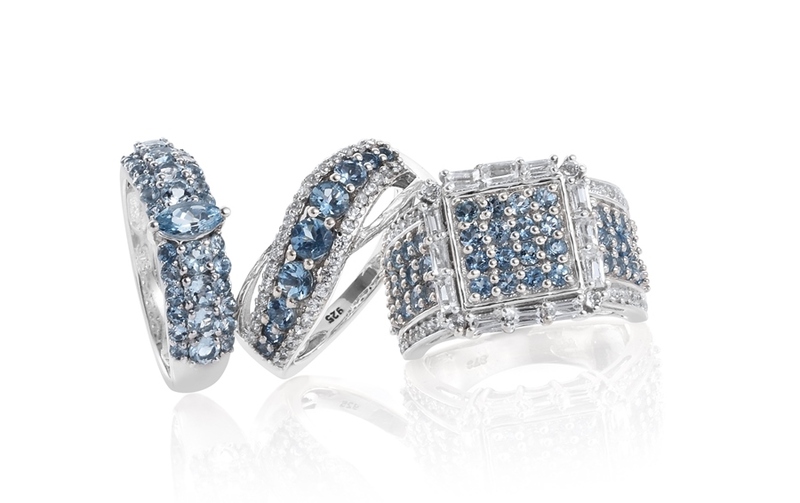 Those born in the month of March or who are gem enthusiasts can wear aquamarine jewelry. How Does Santa Maria Aquamarine Compare to Other Aquamarine Stones? Santa Maria aquamarine is the best-known variety, named after the mine of Santa Maria de Itabira. This gemstone possesses an electrifying blue shade. People sometimes confuse Santa Maria aquamarine with Espirito Santo aquamarine. Santa Maria displays its characteristic deeper blue quality while Espirito Santo aquamarine exhibits mellower tones of blue color. Where Does Santa Maria Aquamarine Come From? The Itabira district of Minas Gerais has a long association with mining aquamarine. Since the Portuguese occupation of the 16th century, mining operations have existed in Brazil. 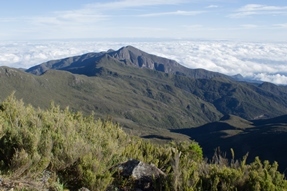 Itabira is primarily known for its iron, but it also produces many gorgeous gems. Santa Maria aquamarine is perhaps the most famous find from the Santa Maria de Itabira mine. The original deposit is almost exhausted, and today most of the Santa Maria aquamarines are sourced from sub-Saharan countries of Africa, including Mozambique. How is Santa Maria Aquamarine Mined? The coveted transparent gems are buried under opaque layers of material that must be carefully cut away. It takes patience, skill, and perhaps a bit of luck to chip away at the rough to reveal the bright blue gemstone underneath. Any mistake can be costly, as every effort is taken to make certain gem-quality material is preserved. Removing the opaque layers and matching of similar colored aquamarines is a time-consuming process. Even after gems are cut and polished, their journey isn’t over. It takes agonizing work to carefully match similar gems for placement into jewelry, ensuring the best color matches. With mined rough yielding between five to ten percent of finished material, it can take over a year for Shop LC to assemble enough material for a four-hour event. What Does Santa Maria Aquamarine Mean? Known as the stone of courage, aquamarine has remarkable calming energies. The gemstone invokes tolerance power and overcomes judgementalism. Moreover, it provides an individual with clarity of thoughts, sharpening intellect and promoting self-expression. 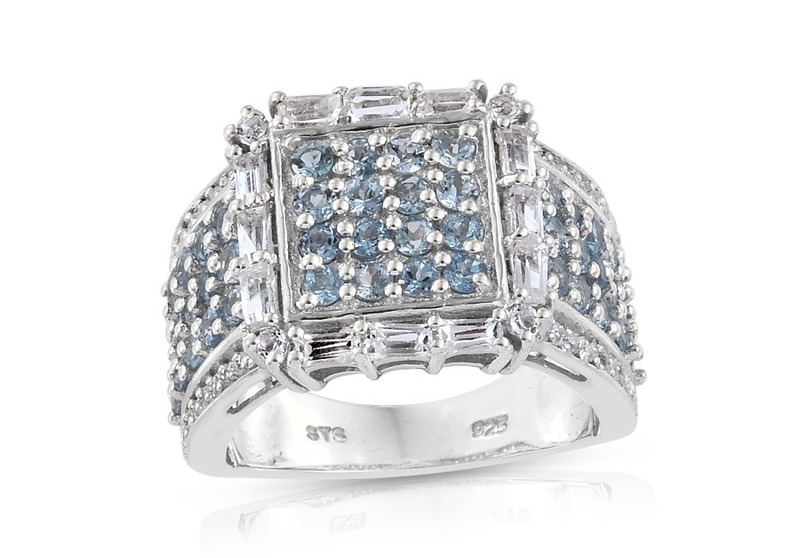 Aquamarine is exceptionally protective during pregnancy as it protects both mother and baby from harm. It is said that this gemstone is helpful in sore throat, swollen glands and thyroid problems. Boosting immune system and regulating hormones are also some significant properties of aquamarine. It is also believed that the mineral beryl gives protection against foes in battle or litigation. Is Santa Maria Aquamarine a Birthstone? The beautiful gemstone is the modern birthstone for the month of March. Aquamarine is also the traditional gift for the 19th wedding anniversary. Santa Maria aquamarine ranks 7.5 to 8 on the Mohs scale of hardness. Santa Maria aquamarine presents as a deeply saturated blue hue. Shop LC sources Santa Maria aquamarine from the Santa Maria de Itabira mine of Minas Gerais, Brazil. Stones undergo heating to improve their color.